Along with card links, subtasks have been among some of the most significant features we use for breaking down larger work items on our Kanban boards. 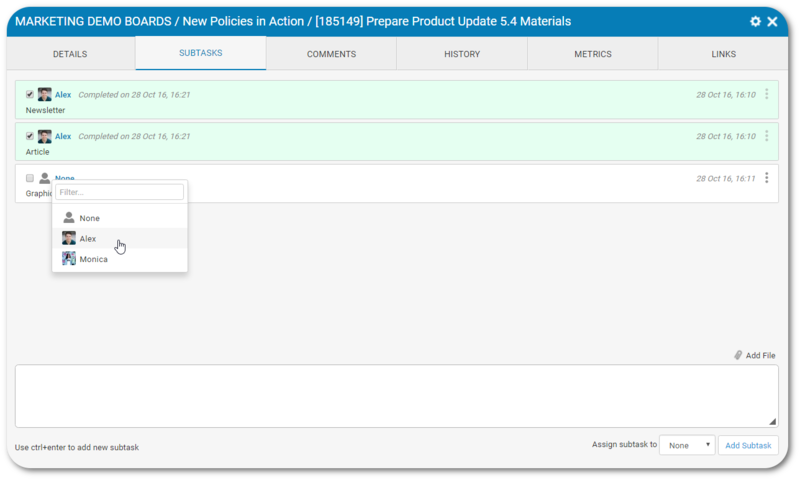 Product Update 5.4 makes it possible for users to create subtasks connected to closed cards on any project board. To do so, add the content of the new subtask in the dedicated field, tagged onto every card on your board. 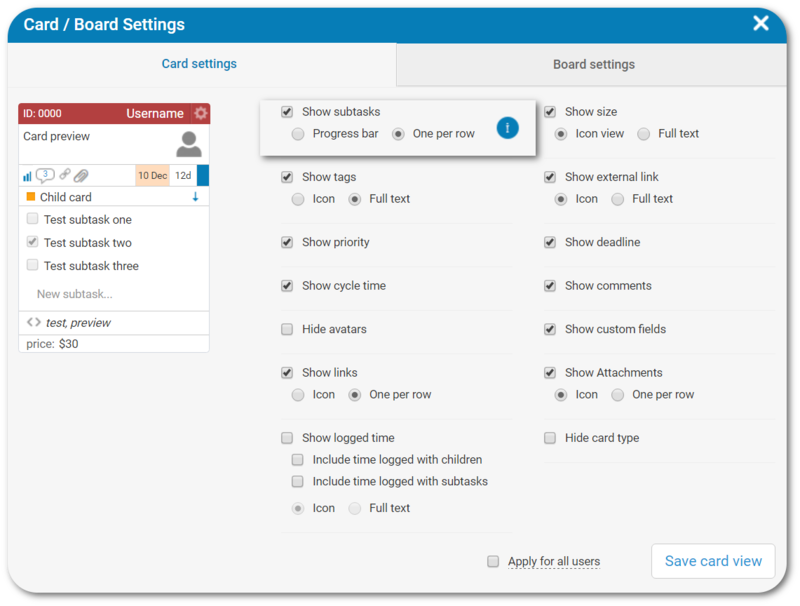 *To make use of this enhancement, configure the view of your cards from the grid board settings menu to show subtasks one per row. Only then will the new quick subtask option become accessible to your user. Edit subtasks in Kanbanize just by clicking on them. Access existing subtasks through the dedicated Subtasks tab in each of your cards, click on the subtask content to modify the text or click on the name of the assignee to reassign the task to another team member. Reassigning will produce a searchable list of all board assignees for easy navigation. To modify content, double click the existing text, edit it, then confirm and save the change with the checkmark. One of our most popular user requests has become a reality! 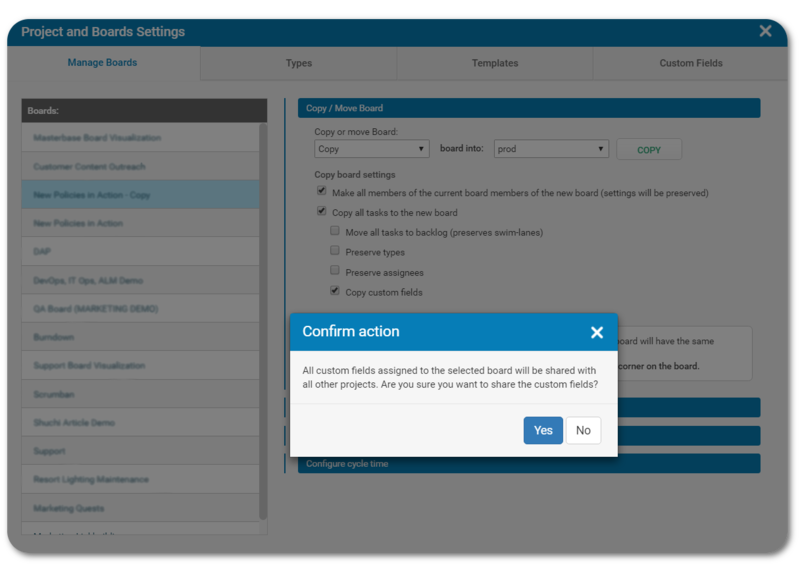 When copying a board from the Manage Boards tab of the Project and Boards Settings, you will have the options to allow custom fields to carry over to the copied board as well. Select the new checkbox “Copy custom fields” in the Manage Board tab then copy your desired board. If you are copying the board into a different project, the system will warn you that the accompanying custom fields will be shared with all the assignees in the destination project. Blocked and overdue cards will often be the most urgent in your workflow. We want to make sure that they get prioritized so they don’t end up impeding progress. The number of blocked and overdue cards in a particular project board is now visible on the Main Dashboard beside the name of each board. Clicking on the dedicated icons will generate a live search of the specific cards that contribute to each total so you know which ones to target first. 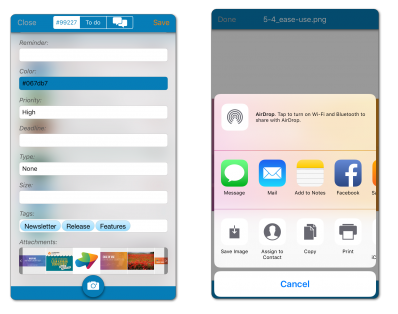 Attach images to Kanban cards in the Kanbanize iOS app. Select a card in one of your project boards and open it with the app on your mobile device. A new camera icon has been added to the bottom of your card details. Clicking it will give you the option to take a new photo or choose an existing image from your camera roll to upload to the card. Name the new card attachment and confirm the addition. A new slider at the bottom of each of your cards showcases existing attachments. Tap on the thumbnail attachment images in the slider to view in full details. From there, you can download the attachment to your camera roll or share with other apps at will. 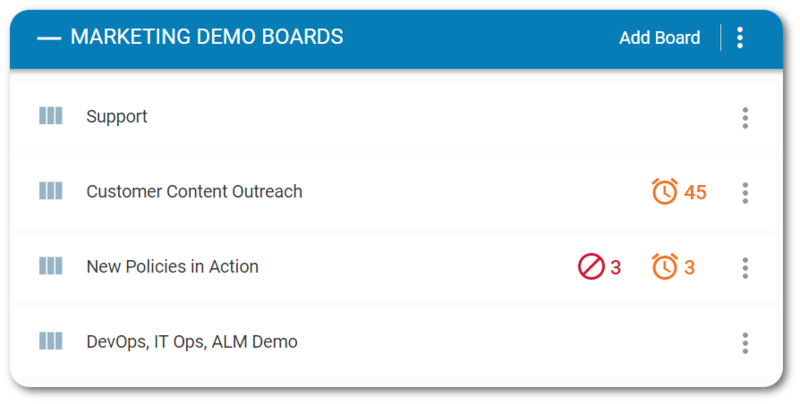 Save and Load board filters directly from the Board Filter option of each board’s grid menu. Save the filters you use most often on your board to make them immediately accessible through the Load button in Board Filters. 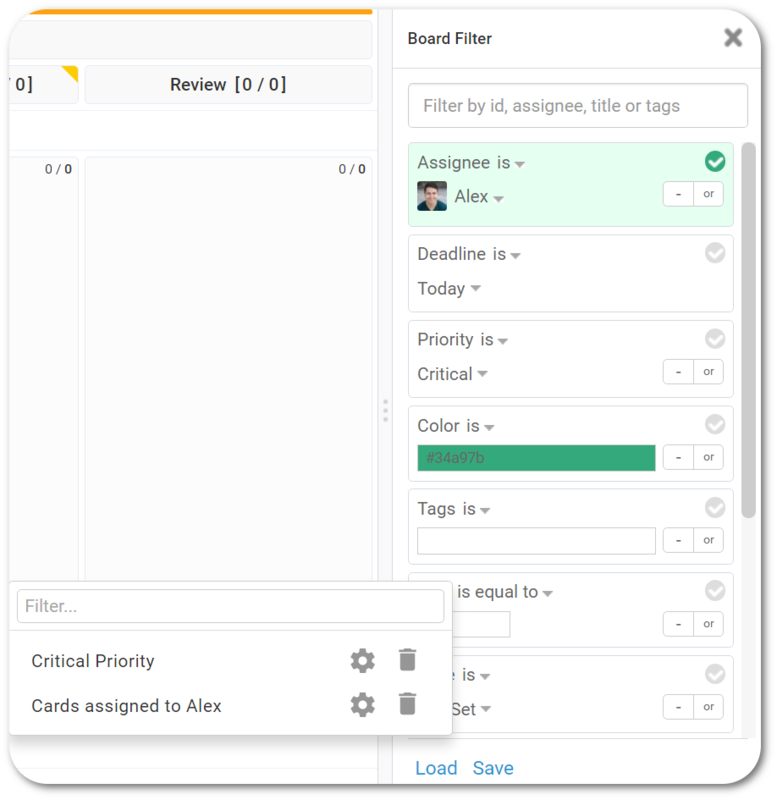 Save unlimited filters to generate whenever you need to navigate specific information on your boards, just like in the Kanbanize Advanced Search. 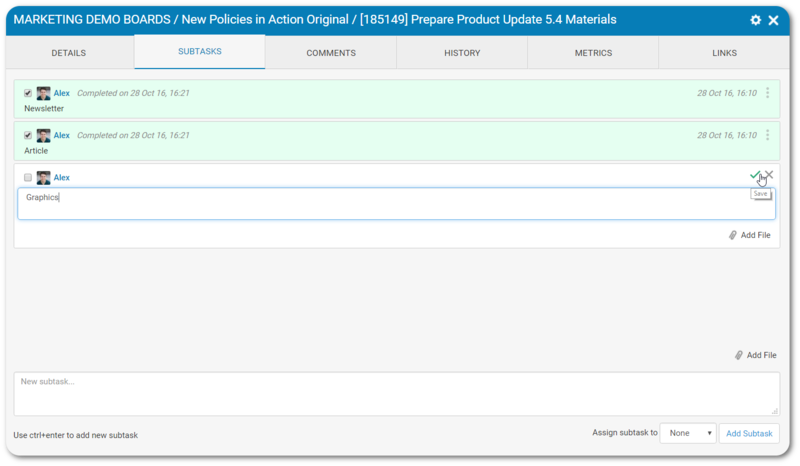 Product Update 5.4 features an updated panel for the Project & Boards Settings management. 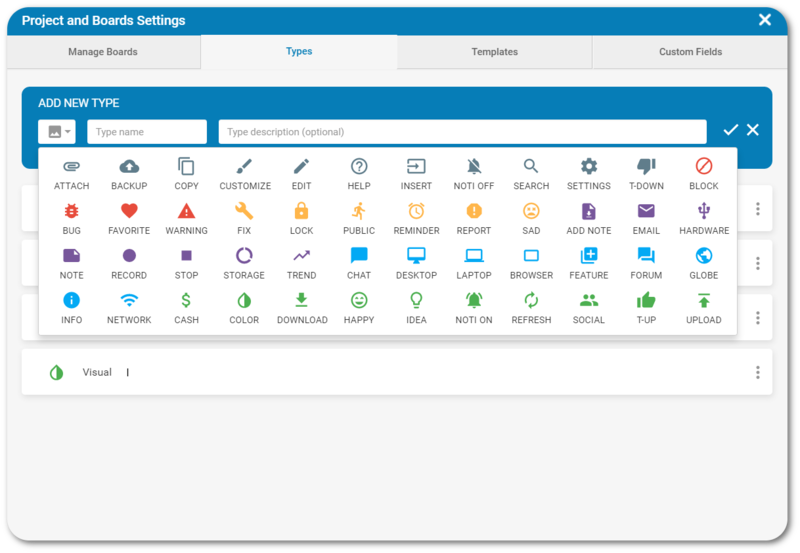 Adding new Types and Templates to a project and editing existing ones is enhanced by the functionality of their individual customizable settings. The icons for Type have also been updated by our design team to be even more distinguishable and recognizable on your project boards. Have a productive month and keep an eye on your efficiency, because we’re sure it’ll be soaring even higher!